This drilling site on Scott Avenue in West Meadowbrook was granted a single-well permit, but two dozen wells could eventually occupy the space. Photo by Naomi Vaughan. Rules for gas wells are changing, but the fight�s not over. For Fort Worth proper, much of the picture of gas drilling regulation was decided at a city council meeting on Dec. 9, and other key decisions were made late Tuesday. To call the process leading up to the ordinance�s adoption contentious and confusing would be an understatement. In effect, in the city�s second try at drilling regulation, a heavily industry-oriented task force came up with one set of recommendations, the dissenting neighborhood representatives on the panel wrote a separate and very different report, and city staffers took both documents and made a third proposal that satisfied neither of the other groups. On Tuesday, the city council rejected one staff-made change that would have weakened the ordinance and modified a second one. At the federal level, the appointment of U.S. Rep. Henry Waxman of California to chair the House Committee on Energy and Commerce suggests more federal regulation of the drilling industry may be coming because he has been an outspoken opponent of �fraccing,� the process of gas well drilling. One of the first indicators may be the fate of a bill introduced earlier this year that could substantially change the way drillers get rid of the highly toxic waste fluids from the fraccing process. Currently, when drillers put those wastes back in the ground in what they call �saltwater� injection wells � the industry�s favored method for waste disposal at the moment � they are exempt from requirements that those wells not contaminate drinking-water sources. But the bill introduced by two congress members from New York and Colorado would end that exemption from the federal Safe Drinking Water Act and put injection wells under federal law. Disposal wells are only one of many aspects of Barnett Shale drilling that North Texans had no clue about when companies started asking property owners for mineral leases a few years ago. Another was the compressor stations that have sprung up all over the city and countryside, which move the gas coming in from wells into larger pipelines. In Grand Prairie, citizens pushed for and got a local ordinance regulating the appearance of the compressor stations. Chesapeake Energy�s pipeline division sued, but a Dallas federal judge last month ruled in favor of the city. Chesapeake is expected to appeal further. State Rep. Lon Burnam said he plans to make drilling regulation �the focus of my legislative work� in 2009. �There are a lot of health and safety issues to be addressed with urban drilling,� the Fort Worth Democrat said, and he plans to file bills on topics ranging from beefing up the Texas Railroad Commission�s well inspection staff to requiring odorization of gas, dehydration, and/or pressure limits for gas in gathering lines. All those items sound like statewide matters, but Craig Adair, Burnam�s legislative director, said the lawmaker is hoping to give the bills a better chance of success by limiting their application to Tarrant County. Burnam said he is already �working on generating that bipartisan support� that would be needed to get even local-only bills on the subject passed. The council also passed a resolution encouraging the state to fund an environmental impact study of urban gas wells and called on the Railroad Commission to make additional pipeline and well inspections � some of which could be dealt with in Burnam�s legislation, if it passes. The city staff �changed the definition of a public building,� which affects how far away from structures a well site must be,� Hogan said. The new definition leaves businesses such as stores, restaurants, bars, and movie theaters out of the definition. That change was mostly accepted by the council, but jails and hotels were added back as public buildings. �If the issue is safety, any building utilized by the public in any manner ought to be included,� Hogan said. The lobbying began shortly after the city staff presented what was to be the final draft of the new gas drilling ordinance in early November. 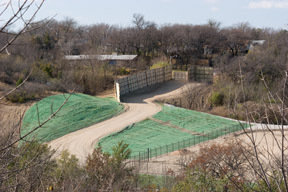 To the surprise of many on the task force, city staffers took much from the minority report and came up with a proposal that looked to strengthen Fort Worth citizens� position in several areas, particularly with regard to noise and air pollution as well as how far back wells must be placed from inhabited buildings. In fact, �Chesapeake was furious,� wrote Jim Bradbury, another member of the minority on the task force, in a widely circulated e-mail. Considering the uproar that followed, Chesapeake�s action seemed to have backfired. But within days, city staff had rewritten several sections of the ordinance. CREDO, a loose-knit group of some of Fort Worth�s more influential politicos, wants a drilling moratorium in order to have that sort of study done. �The fact is that we don�t yet know what we�re dealing with, so who knows if the new ordinance, for all its heart, will put in place the changes we need in the long run,� Hughes said.